Hire a party bus anywhere in the UK. 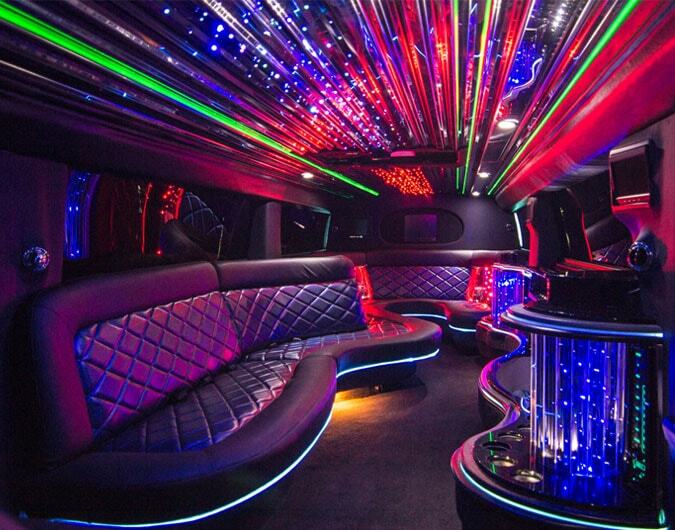 Choose from a huge selection of limo buses. From 8-seater options to 16-seaters and ones with even larger occupancy, the world really is your oyster when looking to rent a Party Bus.. Here at Hire Limos, we like to cater to all types of trips and occasions, offering a huge selection of limousines to do so. However, of late we have seen a substantial increase in demand for party bus hire, with many of our customers wanting to party when out on the road with friends, family and work colleagues. Renowned for their large occupancy and high-tech features, the Party Bus is often referred to as a ‘nightclub on wheels’, providing an unparalleled atmosphere that many crave when travelling to and from important events. From 8-seater options to 16-seaters and ones with even larger occupancy, the world really is your oyster when looking to rent a Party Bus. What features make a Party Bus so special? What makes the Party Bus such a special transport option is the air of fun it encourages, giving its lucky passengers an unforgettable transport experience. From surround sound systems and disco lighting to karaoke machines and champagne fridges, the party bus is nothing short of incredible. Popular for proms, weddings, office parties, hen parties, stag dos and much more, hiring such a vehicle can be all you need to take your big night from good to completely astounding. For more information and to receive a free, no-obligation quote for Party Bus hire, contact us at Hire Limos today. With a large team of transport advisors in-house, we will be sure to find the best vehicle to suit your needs.